While Zika virus, unsanitary water conditions, and political unrest have been a threat leading up to this Summer Olympics in Rio de Janeiro, there is another threat lurking in Brazil during these Olympic Games. For those visiting the city and those involved in the Olympics, cybersecurity threats promise to be prevalent throughout the international competition. So why is Rio de Janeiro specifically susceptible to cybersecurity threats, and what should we be on the lookout for? Read on to learn more about the cybersecurity concerns facing Rio, Brazil, and the 2016 Summer Olympic Games. Anytime a large group of people are gathered in one area, the potential for cybersecurity scams and attacks rises dramatically. With as many as 500,000 visitors flooding Rio for the games, the 2016 Olympics are no exception as the influx of people provides plenty of opportunities for identity theft and fraud. The Beijing and Sochi Olympics put many visitors on their guard as China and Russia are one of the greater risks to American cybersecurity. However, these threats exist in any host for the Olympics. The 2008 Olympics in Beijing saw more than 12 million cyber attacks a day and even in London in 2012 there were around 165 million attempts to breach cybersecurity surrounding the Olympics. As a global sporting event, the Olympics continue to be a juicy target for cyber criminals with the massive number of targets and myriads of ways to conduct scams and internet fraud. If the presence of the Olympic Games weren’t enough, the country of Brazil also lends itself to criminal cyber activity. A report from BitSight Technologies highlighted several of the major problems that Brazil poses with cybersecurity. When compared to other developed nations. Brazil had the lowest aggregate Security Rating. This is calculated by reviewing SSL vulnerabilities, peer-to-peer file sharing, email security protocols, and more. In terms of monetary loss, a study from IBM showed that Brazil is fourth in the world for monetary loss due to cyber crime and is second in number of online banking fraud and financial malware attacks. Part of this increased prevalence of cyber crime in Brazil is due to the political culture as a whole. Cybercriminals in Brazil are very bold as the laws regulating cyber crime are few and those that exist are weak. In addition, the political and economic unrest give a different kind of motivation to cyber criminals. Cyberactivists looking to make a statement have the global focus of the Olympic Games upon which they can piggyback for attention. 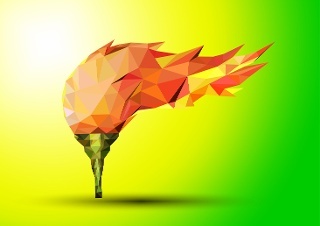 2016 Olympic Games Cybercrime: What to expect? So with the stage set for multiple possibilities of cybercrime, there are several possibilities as to how cybercriminals may choose to carry out their attacks and scams on individuals. It’s little surprise that phishing will be an attack method at the Olympic Games, but cybercriminals know how to leverage the games for their benefit. Be on the lookout for Olympic-themed emails offering services in relation to the Olympic Games. Cybercriminals will also use Olympics disguised tactics in order to install malware on computers and networks. The ultimate goal is stealing credentials and personal data from their victims. Cybercriminals prey on the needs of the visitors to Rio for the express purpose of the Olympics. Whether it’s free Olympic giveaways or websites to sell fake tickets or merchandise, cybercriminals have aggressive strategies to take advantage of their victims in Rio. They bolster their malicious URLs through SEO strategies and even advertising to further sell the legitimacy of their scam. Credit card information becomes even easier to gain access to via malware-infected mobile point of sale devices. While a celebration of strength and determination, the Olympics also have this dark side to be wary of. Threats to cybersecurity are on the rise across the globe, and the Olympics provides the perfect stage for cyber criminals of Brazil and around the world.